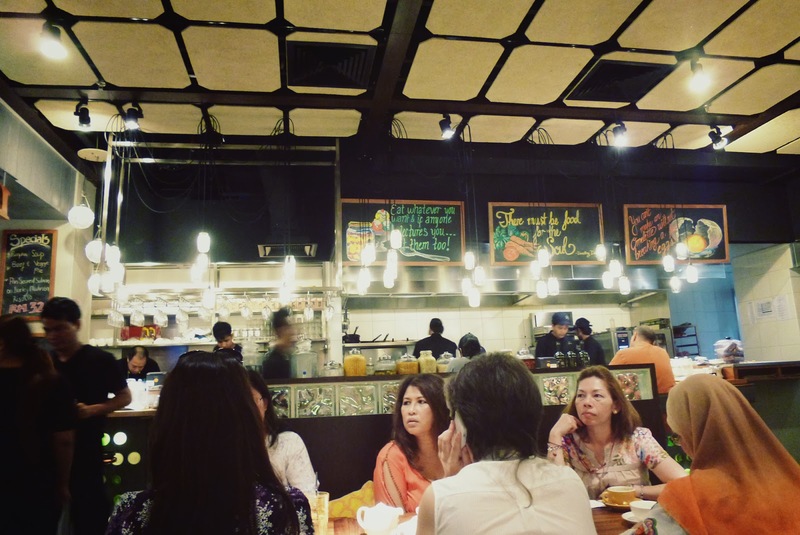 Bangsar is the known area where all the good brunch places are located, the ones that survive are the ones booming with business, and the ones who don't make space for more new ideas to come into place. 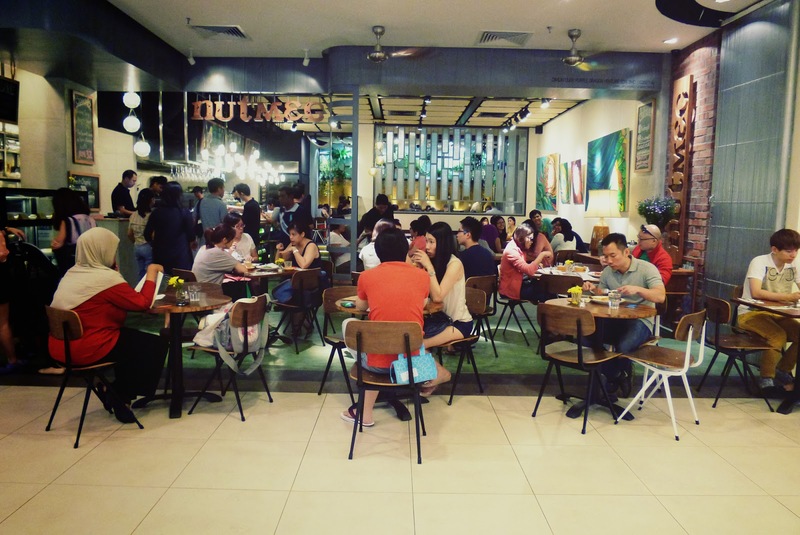 Recently, about two to three months back, Nutmeg KL opened in Bangsar Village 2, just right opposite Zara and Haagen Dazs. If you are still confused, take the escalator from The Loaf and go one floor up, and you will see Zara! Then you can see Nutmeg. Arrived to this on a Saturday morning. Almost all the tables were full and when we were ushered to our table, the waiter asked if everyone is present or not before they can seat us at our table. Hmm, so Nutmeg must be one of the more popular brunch places now huh. Flower settings on the table and the menu, which was just like thin piece of exercise book cover material. 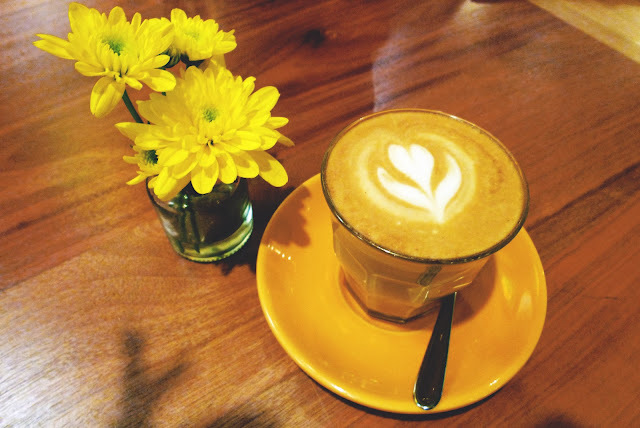 Hot Cafe Latte (RM8++). I saw from the internet that 3D Cafe Latte Art is available at this restaurant and I asked the staff about it. They said that additional RM5 is needed for the 3D latte art and it is only available during non-peak hours. 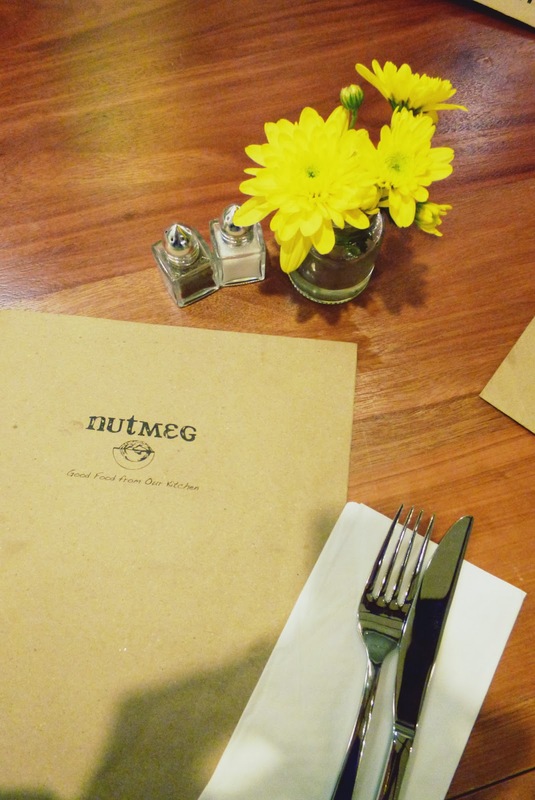 Nutmeg's Special : Nutmeg Big Breakfast (RM28++) - two eggs any style, lamb sausage, confit mushrooms, roasted garlic tomatoes, hashed potatoes OR fried mac and cheese, house-cured salmon OR salt beef, toasted brioche. 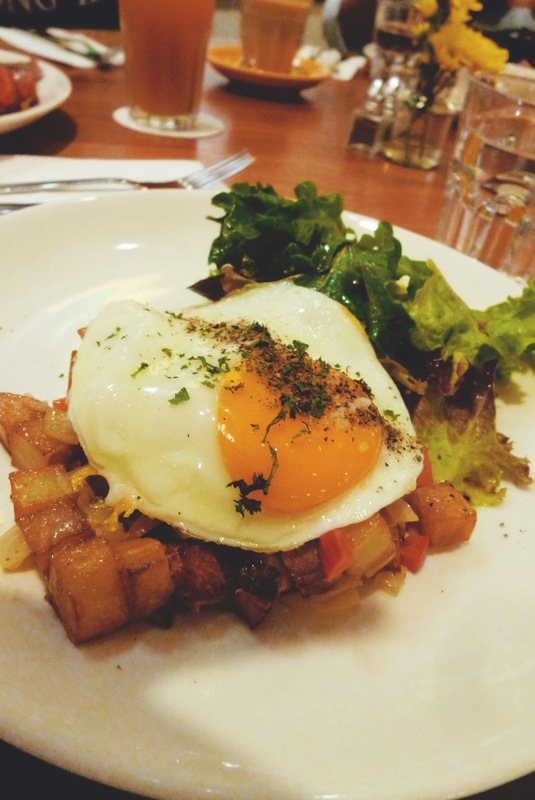 Three of my friends ordered the big breakfast set, since everybody felt like having big breakfast, and they said that it was so-so. Nothing really special about it. But from what I see, the sausages, mac and cheese and the salt beef are what is attractive in this big breakfast set as it differs from the regular fry ups the other regular brunch places offer. The portion is filling enough for one person and is not too big. I had the Salt Beef Hash (RM16++) - sauteed potatoes, red peppers, topped with a fried egg that comes with a side salad. Was abit under budget that's why I had this, but I expected the portion to be bigger! Taste wise, it was good! Loved the salty combination. The side salad was dressed in some sort of berry dressing and I loved it very much! 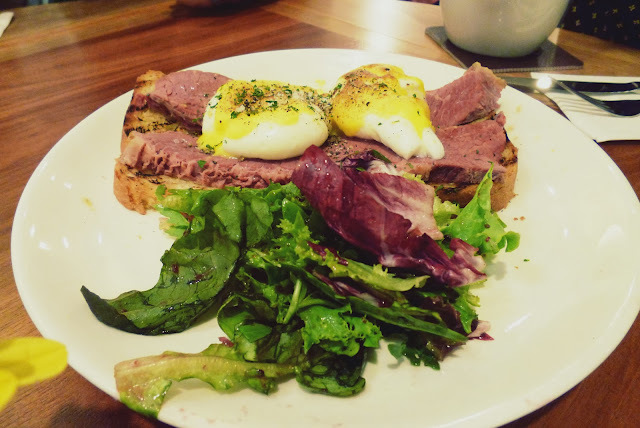 Eggs Benedict (RM26++) - two poached eggs, hollandaise, toasted brioche, chose of house-cured salmon OR salt beef. All of the above are from the all day breakfast menu. 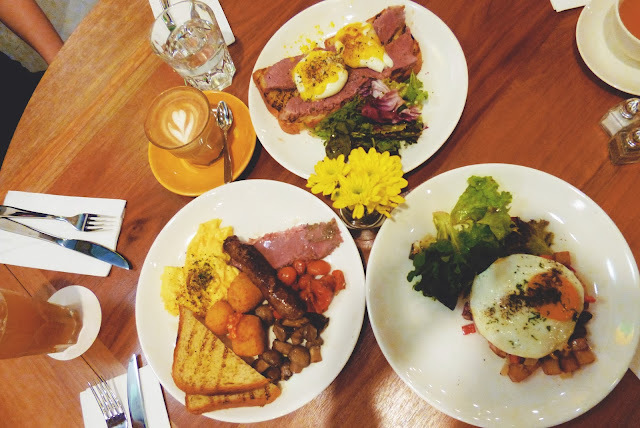 Other than the above, I think the baked eggs (RM18++) and the brioche french toast (RM16++) are worth trying as they looked so good! There is also a lunch and dinner menu and if I'm not mistaken there is a executive set lunch menu on weekdays from 11.30am to 2pm which you can check out from their Facebook page. 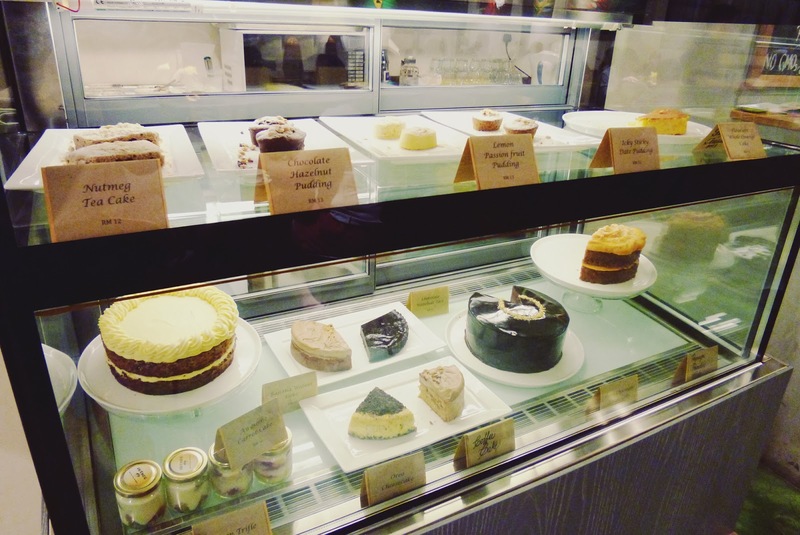 Cakes and desserts are also available at Nutmeg KL but we did not try any! The staff at Nutmeg KL were friendly. 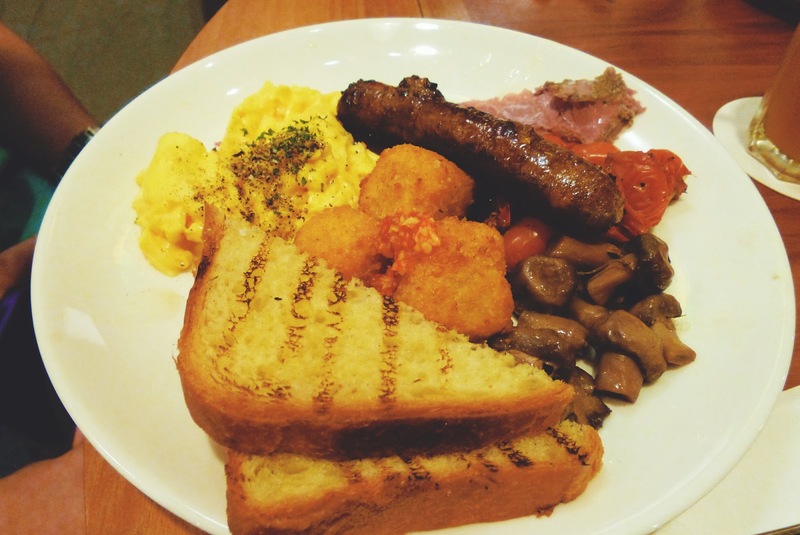 They helped us with our photo, repeated our orders when they took our orders and informed us to be sure of what arrived on our table because they were afraid that their staff would deliver the wrong combination of the breakfast to our table. They did mix up the orders though, but I guess it was because it was really crowded and there is room for improvement in that. I think that ordering one dish wouldn't be enough for big eaters as the portions are quite small and also not forgetting, the prices are quite high (about RM40+ a person with food and drink). Truthfully, it is hard to find a place which offers value for money brunch nowadays. I have to say though, that Nutmeg KL offers dishes other than the other regular brunch places and it is worth a visit, but not too often if you don't want your wallet to be empty. Takes reservation, cash only, and take outs are available. Price range from RM15 to RM28.